When you don’t love yourself or trust your instincts, you lose out on a source of power that allows you create the life of your dreams. Michel Madie, through his healing art form SoulBoxing, helps you find that power source again. As the name implies, Michel’s Soulboxing methods do pack punch. The virus of distrust in oneself runs so deep in our culture that it sometimes takes a needed punch to box it out of us, so we can again remember our true nature and our true value. Michel is a master at this art, and helps people shift from shame and self-loathing to self-love and satisfaction. 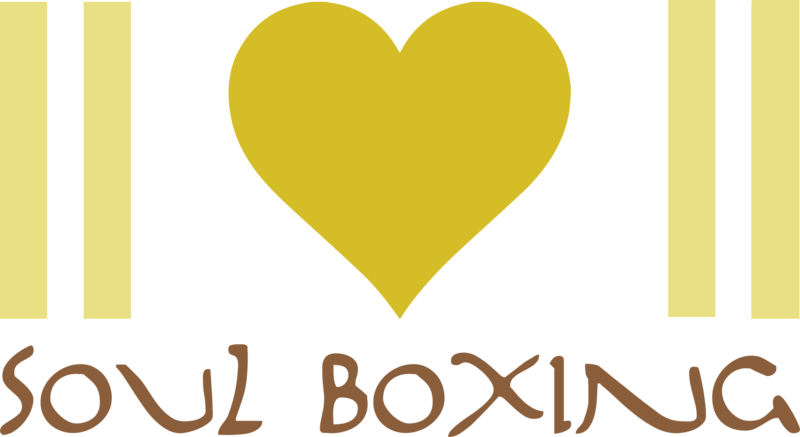 Soul boxing is a rich and vast approach to life and self-love that has been personally transformative for me. I highly recommend. I am so grateful for the work Michel offers, it is life saving. The world as it is now does not provide the space most people need to live and love fully, especially toward themselves. Michel is uniquely stron enough to provide this loving space and more - to get you out of your head and into your heart - where you belong. The world transformed into a welcoming embrace after working with Michel. I trust again. I have not met another man like Michel. At first I was nervous and yet drawn, and with good reason. Michel is willing to delve into the deeper depths if it means you might grow and transform. He uses his power as a catalyst for your well being. It's like going on an extreme roller coaster ride blindfolded instead of putting along at 2 mph looking cautiously for other cars in all three mirrors. One experience is truly living life, the other, well we all know the other. I have experienced the breadth of his caring and sensitivity along with his vulnerability and it is, he is, precious. While i may have developed and grown on my own, it would have been slow and full of me getting in the way of myself. Michel was brave enough to risk conventions to bring me forth into a new phase of existence. I am now blissfully enjoying the results of Michel's devotion to my expression of love and tenderness. Thank you Michel. Certaines rencontres vous font prendre un autre chemin en vous indiquant la voie, d'autres, plus généreux, vous accompagnent jusqu'à votre destination. Être perdu fait peur... prendre un autre chemin fait peur... Mais quelle chaude sensation, après quelques efforts sur ce chemin parsemé de doutes, que de reconnaître l'endroit, que de se dire: j'ai fait le bon choix... fini le doute, place à l'exhaltation des certitudes... je ne suis plus perdu... Vivre sans Dieu ni Maître n'a pas été un choix pour moi. Juste une fatalité; le plus cahotique des chemins pour l'âme. Pas de paix... je vivais écorché vif, habité des ombres de mes vies antérieures, de toute évidence, quelques chefs de guerres ne trouvant le repos que pendant de courtes parenthèses dans le temps. Comment Michel a-t-il fait pour m'apporter la paix? La réponse est dans la question. Ni Dieu, ni Maître.. Michel n'est pas un représentant de Dieu, ni un maître à penser. Nous sommes tous élèves à l'école de la vie. Michel est notre grand frère... il est l'élève brillant des classes supérieures. Celui qui ne résoud pas votre problème à votre place, mais qui va plus loin en vous montrant comment y arriver par vous-même, trouver votre propre solution à votre problème. Les mots manquent pour qualifier ce que vous vivrez au contact de Michel.. Tranche de vie, méthode, expérience, chance offerte.. Mon conseil... Ouvrez votre âme, déshabillez-vous... Profitez de l'instant et... Boxez votre âme! Some encounters will indicate a new path; others, more generous, will take you to your destination. To be lost is frightening... To take a new path is frightening. But what a warm sensation, after many efforts on this path of doubts, to recognize the place, to be able to say: I made the right choice... Done with doubt... I am no longer lost. To live without God or Master hasn't been a choice for me. Just a fatality, the most chaotic path for the soul. Never a moment of peace... I lived in torture, skinned alive, inhabited by the shadows of my past lives, in all evidence, a few war chiefs able to find rest only in short parenthesis of time. How did Michel manage to bring me peace? The answer is in the question: neither God nor Master, Michel isn't a representative of God, nor a thought leader. We all are at the school of life. Michel is our big brother... He is the brilliant student of the PHD program. The one who does not resolve the problem for you, but goes further by showing you how to resolve it yourself, to find your own solution to your problem. Words lack to qualify what you live at Michel's contact. A slice of life, method, experience, a chance offered. My advise... Open your soul, get naked, live the moment and... Box your soul! I recall the Genie from Arabian Nights, with a wisdom as infinite as the universe itself, never plaguing his satirical sense of humor to all of life. Michel stands for recognizing the deepest and darkest secrets of a soul and illuminating them with love and joy. His body and mind appear to be magically tuned onto the rhythms of a divine dance of cosmic energies. Rides on the magic carpet of his teachings propel you toward a new reality where the gift of life shines as sunrays of excitement, melting obscuring storms far and away. Michel is one of the most beautiful people I know. His work and deep love have been instrumental in helping me open to my path as a healer and fulfilled human being. Michel is one of the most fascinating, empathetic and soul-nourishing people I have ever known. His generosity of spirit is exceeded only by his boundless enthusiasms for love, life and adventure. A true international and renaissance man of mystery, he may, at any one time be... cooking a five-star, six-course dinner for 35 people in his home; simultaneously carrying on three conversations in four languages; dancing an exquisite tango with an even more exquisite partner; and probing gently but deeply into your core. And what he'll find will surprise, challenge and ultimately delight you. Michel is world-class. He carries with him a unique and wide array of teachings and healing modalities. His commitment to others is unparalleled. I would trust Michel with anyone I care for. Personally, Michel is one of the most impactful teachers I have ever come across. He helped transform my relationship from mundane to extraordinary. Professionally, he mentored me into earning from $30k to $350k a year in just two short years! I just can't say enough about how special Michel is. Michel embodies love, integrity, and authenticity to the fullest degree. His passion for transformation is truly an inspiration. I have witnessed Michel’s healing capabilities in action both personally and with others, what an honor! All experiences have lead to one common outcome: breakthroughs. Michel stands as a mirror for others to see their own greatness. Michel stands tall in his own personal power with a heart so big and full of compassion. This is its the time to take full responsibility for your life and to get liberated from the burdens of self-sabotage patterns. You might experience some resistance as your whole being will be shocked with an intensity and strength that will break the walls of the false identities you have developed through your life based on fear and guilt. Soul Boxing opens the space within you to jump ahead into your life without limits, with the courage and beauty of who you truly are. The intuition, emotional intelligence, deep connection with the source of the human body and soul that Michel Madie embody are remarkable. I’ve been working with shamans and healers around the globe and Michel Madie has a fast and profound way of reading the energetic field and psychologic patterns of the individual. Soul Boxing is a an effective technique that leads into no other possibility than shifting and transforming, fully honoring your pure and true nature. Michel Madie is a master in this very unique healing art form. His generosity and devotion to his art are beyond limits. Michel gently, patiently and persistently led me to become more powerful and more trusting of myself. He's a true renaissance man and a role model for me. Michel is able to connect to a part of my psyche that very few see. He deeply trusts his intuition and it's so fun to experience his mastery of authenticity and service. Michel allows for the discovery, unfolding and unblocking of sensuality and desire within a pure, clean space of 100% acceptance and zero shame. He is a shining beacon of heart-open, gentle, fierce masculinity. His passion and work are him so he is always in service and he is always joyfully savoring life. He is one of the most beautiful human beings walking this earth. I absolutely love him. Michel has provided me guidance, friendship, and love since I met him in 2009. He has been a source of healing as I recovered from a broken arm and broken leg. He has been a source of support during the anxious days of opening, and subsequently expanding, a new business. He has been a true friend during the emotional roller-coasters of building new relationships with other humans. In short, there is no category of experience on which I would consider Michel to be unqualified to counsel. It's difficult to describe in words the wonderful healing and assistance that Michel has provided. I've historically been skeptical of the authenticity of healers, but Michel is unquestionably the real deal. I've never met anyone quite like him. He has an excellent read on people and is able to glean so much from such a short period of observation. He is quite skilled. His insight into the soul is not only impressive, it is beautiful and inspiring. In a short period of time, one conversation and one soul boxing session, Michel helped me see something that was holding me back from feeling whole and complete. Our session truly resonated, touched and healed me. As I move forward, integrating what I absorbed from our time together, I feel not only lighter, but more powerful and fulfilled. A newfound awareness that was always there deep down, that Michel awakened and helped me see. I love it. I am bubbling with self-love, and inspired towards more. It is, and will, clearly lead to more success, more confidence, and more love in my life. Additionally, it has inspired me to share and help heal others. I look forward to future sessions with Michel, to uncover more secrets and mysteries of my soul, on the path of self-love, and loving and healing others. I progress, tackling life with a fierce and beautiful power. Thank you Michel. If you are looking to work on yourself, learn more about what may be holding you back, and becoming more fulfilled, with self-love, then Michel is the one. I cannot recommend him enough.